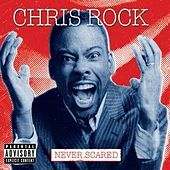 Influenced by other comic geniuses including Richard Pryor and Redd Fox, Chris Rock is one of the funniest celebrities in the country. After paying dues as a stand-up comedian, he began appearing on the much-loved skit showcase In Living Color and working in film. With a show-stealing cameo in I'm Gonna Git You Sucka! (where he dropped the timeless line "how much for a rib?") and his spot-on portrayal of Pookie the crackhead in New Jack City, Rock's star was on the rise. He became a regular on Saturday Night Live, and in '94 co-wrote and starred in CB4, an excellent (though under-rated) Spinal Tap-style parody of a fictional Gangsta Rap band. He's since starred in over a dozen movies and released three comedy albums, not to mention various cable specials and his own show on HBO -- with Grandmaster Flash as his DJ. 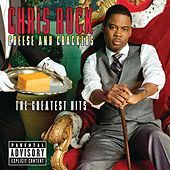 Always down with the hip-hop, Chris Rock has appeared on LPs by Prince Paul and the one and only ODB.